A lot has happened since our last Mark2Cure blog post. Andrew and other members of the Mark2Cure team were on twitter on Feb. 24th to talk about Mark2Cure during the citscichat focused on language-based citizen science projects. A storify of the event can be found here if you’re curious as to what was discussed. Two days later, our team attended in the NGLY1/CDG conference (that was mentioned in this post) and were fortunate enough to meet the NGLY1 families that were touched by our Mark2Curators’ help in searching for clues on their disease. 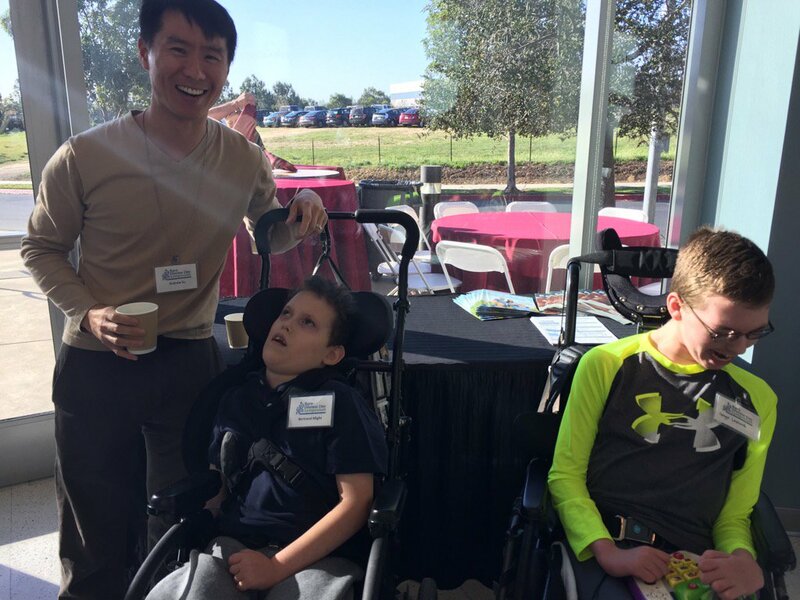 The amazing @andrewsu takes #CitSci to the next level on #RareDiseaseDay! #NGLY1 patients thank you all, @Mark2Cure! Then last week, the mitochondrial and misfolded 2 doc set was completed as amazing narratives about citizen science and personal medical odysseys were unfolding at the Future of Genomic Medicine Conference. We’ve made a new doc set available and already you have been making amazing progress on this doc set. Since Monday, we’ve been working with the La Jolla Public Library to commemorate the inaugural Citizen Science Day in the US. There will be a small Citizen Science Day Expo in San Diego which will showcase some of the many local citizen science projects that could use your help. If you’re in San Diego on April 16th, please join us! Representatives from Urban Tides, San Diego Wet lab Group, and Ocean Sampling Day will be there. We’re also in the process of inviting representatives from more local projects to join in. No, you don’t have to be on the research team to help spread the word about your favorite project! If you’re involved in other San Diego citizen science projects, help us bring them in on this event! Also, if you’d like to help staff the event, contact us! For more details about some of the project groups that will be present, check out this post. If you’re not in San Diego and would like to organize a similar event, contact me! Let’s all celebrate the amazing research that you are engaged in! Speaking of citizen science projects, Jake is trying to launch a citizen science project to help with converting pictures from electron microscopes into 3D structures of hard-to-crystallize proteins. It’s currently in beta and he could really use feedback on the task, the interface, everything! Please try it out and help him improve the way it works before the project is officially launched.